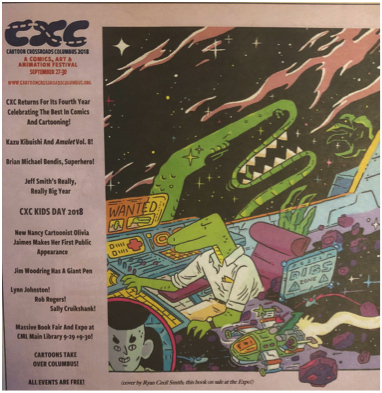 Columbus Ohio hosted their annual city-wide comics’ festival, Cartoon Crossroads Columbus (CXC; http://cartooncrossroadscolumbus.com) from Thursday September 27 through Sunday September 30, 2018. Please refer to www.graphicmedicine.org/report-from-cartoon-crossroads-columbus/ for some background on CXC in my prior report about CXC 2016. CXC is an amazing event that gets better every year. CXC provides a variety of venues at Ohio State University campus (Billy Ireland Cartoon Library & Museum (BICLM), Hale Hall, Ohio Union, & Wexner Center for the Arts), Columbus Metropolitan Library (CML), Columbus College of Art & Design (CCAD), and Columbus Museum of Art (CMA). There was an academic conference on Thursday and Saturday. SÕL-CON (The Brown & Black Comix Expo) had events every day. SÕL-CON included panels and youth workshops. The Wexner Center for the Arts hosted animation shorts from Kelly Gallagher and Sally Kruikshank on Thursday and on Friday provided interviews and talks from Jim Woodring and Lynn Johnston. All events were free to attend. CML hosted most events on Saturday and Sunday with presentations, interviews, book signings and marketplace for writers and artists to sell their wares. I’ll discuss the events I attended. Noah Van Sciver gave a Talk & Teach at BICLM on digital coloring. He’s the author of the just out One Dirty Tree (aka 133) a memoir of growing up at 133 ____ Street in New Jersey. 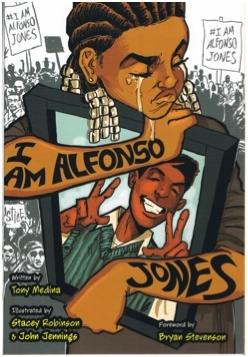 He has written many other graphic works; the one that might be of most interest to the graphic medicine audience is Hypo: Melancholic Young Lincoln which hasn’t been reviewed at graphicmedicine.org. Noah said that a very light red layer as an under layer really makes black lines “pop.” He does most of his coloring digitally in layers, so he can try them on and off for his desired effect. He’s now working on his auto-biography about growing up in the Mormon Church which might be published in 2022. The academic symposium on Thursday and Saturday was entitled: In the Gutter: The Public Work of Comics covering “how comics enter public spaces to do social, transformative work … whether in the classroom, the clinic, the library, the community center, or the protest march.” Jenny Blenk gave a talk on “The Politics of Feminism and Silence in Georgia Webber’s Dumb.” Ms. Blenk said, “[Dumb] is a very personal account of how disability impacts […] identity as well as how it complicates and influences how she, as a woman, interacts with society.” I will write more about Ms. Webber’s graphic work when I discuss her silence/talk on Saturday. On Saturday Nate Powell, artist for numerous works including the three volume March (with Congressman John Lewis & Andrew Aydin), Edible Secrets: A Food Tour of Classified History (with Michael Hoerger & Mia Partlow), and The Silence of Our Friends (with Mark Long & Jim Demonakos), and sole creator of many others including Any Empire, Swallow Me Whole, and most recently Come Again. Nate was born in Little Rock Arkansas and many of his works are valuable, realistic depictions of race relations in the US. At the symposium Nate discussed his cartooning philosophy, and I’m sorry I didn’t record it because it was fascinating about his childhood in the south and honing his drawing/writing skills. BICLM had several phenomenal shows; two in particular: first, on the history and artistry of Madmagazine (Artistically Mad: Seven Decades of Satire)curated by cartoonist and cartoon historian Brian Walker. 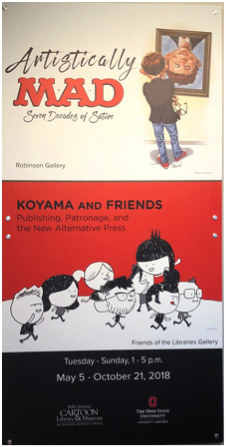 The second exhibit celebrated the tenth anniversary of Koyama Press (Koyama & Friends: Publishing, Patronage, and the New Alternative Press) curated by BICLM’s own Caitlin McGuirk, Curator for Outreach & Assistant Professor. The Koyama exhibit also invited attendees to draw their own version of the Koyama meme on a post-it-note and display it. 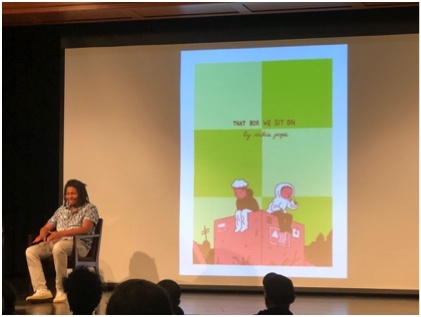 Dustin Harbin (Diary Comics) had a no-holds-barred, tongue-in-cheek interview of Annie Koyama followed by a panel of several of the cartoonists (Ryan Cecil Smith (S.F. ), Keiler Roberts (Chlorine Gardens & Sunburning), and Jessica Campbell (XTC69 & Hot or Not: 20th-Century Male Artists with scratch off cover)) who Koyama has published. Ms. Koyama, with self-deprecating humor said, “I don’t like being the center of attention;” though she has quite a tale to tell from her various occupations; serious brush with death due to a brain aneurysm; and her epiphany to “speed up and do what [she] wanted while alive.” Thankfully Ms. Koyama then learned about cartoon publishing to provide a stage for fresh alternative cartoonists. She found cartoonists often don’t understand their first cartooning contract which she has explained to many newbies. Lynn Johnston (For Better or For Worse) spoke at the Wexner Center for the Arts. 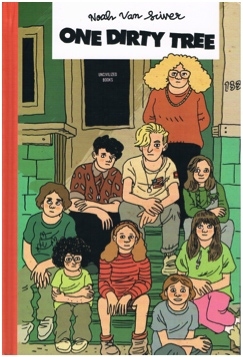 I have enjoyed reading Ms. Johnston’s comic strip for well over twenty years and the talk she gave didn’t disappoint. She gave her very early history in comics as a child with a delightful lesson on creating comic variations with very simple drawings. She spoke of how she and her brother used to play a game with a circle on a piece of paper and four small squares of clear plastic. She put a single dot (eye) on two squares near corners; a small straight line (mouth) on another; and a backward C (nose) on the last. She then manipulated the squares over the circle by putting all four images near the bottom of the circle creating the face of a baby. Moving these four items near the center and adding a neck let us all laugh at the face of Charlie Brown. Anyone can play this game perhaps with a few extra lines to convey various emotions. 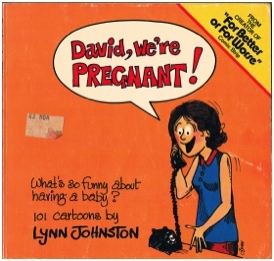 Ms. Johnston’s earliest work was displayed on the wall of her Obstetrician which led to the publication of David, We’re Pregnant 101 single-panel strips in 1975, Hi Mom! Hi Dad! in 1977, and Do They Ever Grow Up? about the “terrible twos” in 1978. For Better or For Worse original strips ran from 1979 through 2007 and has continued since then in newspapers by rerunning the strips. 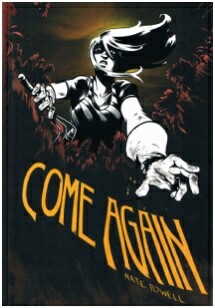 She indicated that she’s currently helping a friend with a graphic novel on his rare health condition. I “listened’ to fifteen minutes of silence from Georgia Webber as she ran a PowerPoint presentation for the audience to read about her losing her voice, and that when she wore lipstick it meant that she didn’t want to speak. Most of her early slides were handwritten in red like: “i … feel very nervous, despite the fact that i LOVE public speaking … well, i’m not really speaking, am i? but you might say that this is my voice …” The slides explained how red became her substitution for her voice. I, myself, started to feel anxious as the slides progressed; because I found her voice color in Dumb to be a bright orange which is what I wrote when I did her book review (www.graphicmedicine.org/comic-reviews/dumb-living-without-a-voice). She silently indicated, “these days i talk pretty normally, but never in loud places or for too long.” After the slide show she wiped off her lipstick with a red kerchief and answered questions, mostly from attendees, for the rest of the hour. She speaks softly and gently, wanting to avoid any straining or overuse. Ms. Webber said she wouldn’t want to go back to before she had extreme throat pain, because “I like reminding people that what you go through is shaping who you are.” After the silence/talk, I tried to apologize to her for using “orange” rather than “red” in my graphicmedicine.org review; but she said she had read the review and that there was no need to apologize because on the color spectrum her book used orange-ish red for her voice. Why did this matter to me? Because I get anxious when I make a factual mistake and, like Ms. Webber, red has been my favorite color all my life and I readily notice when anything is red. 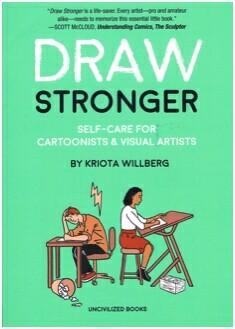 I moved on to a talk by Kriota Willberg on her new book Draw Stronger: Self-Care for Cartoonists & Visual Artists published by Uncivilized Books in April 2018. This book is an extension of her two mini-comics (First Aid for Drawing Injuries: Pain Is Your Frenemy!and Pain: Guide to Injury Prevention for Cartoonists). 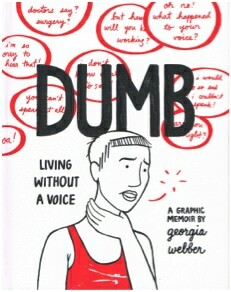 Draw Stronger has not yet been reviewed at graphicmedicine.org. Ms. Willberg is a massage therapist with a focus on orthopedic injuries. Ms. Willberg is the first artist in residence at the New York Academy of Medicine Library. On Saturday and Sunday there were two separate editorial cartooning discussions. 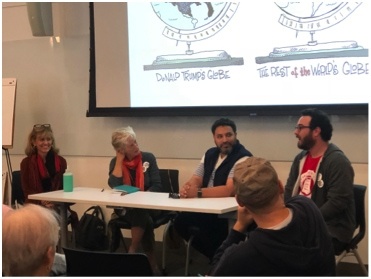 I attended Cartooning in the Time of Trump: Part One with Ann Telnaes (editorial, Washington Post, Signe Wilkinson (editorial, Philadelphia Daily News, Family Treecomic strip), Darrin Bell (Candorville & Rudy Parkcomic strips, syndicated editorial), and Nate Beeler (moderator; editorial cartoonist, Columbus Dispatch). Ms. Telnaes & Ms. Wilkinson are the only two women to receive Pulitzer prizes for editorial cartooning which have been given out in most years since 1922. Mr. Bell won the Berryman and Robert F. Kennedy Journalism Awards for editorial cartooning. I also attended a separate Spotlight on Darrin Bellon Sunday. Darrin was interviewed by Jenny Robb, Associate Professor & Curator at BICLM. Mr. Bell has produced an amazing body of work from his comic strips Candorville (nine collections available) and Rudy Park to his up-to-the-minute editorial cartoons. He even produced one for Friday on Judge Brett Kavanaugh’s (before he became an Associate Justice of the Supreme Court) Thursday September 27th hearings with Christine Blasey Ford. Sunday was kids day which provided spotlight on Kazu Kibuishi (Amulet), Drawing Comics with Rafael Rosado(Beware! series), Reading Comics with Liniers(more shortly) and Rafael Rosado, SÕL-CON’s Panel: Comics of Color for Youthwith Terreece Clarke(Oliva’s Potty Adventure), Jason “Gonzo” González (jgonzodesigns.com), Frederick Luis Aldama (Your Brain on Latino Comics), and Lawrence Lindell(From Black Boy with Love, Couldn’t Afford Therapy So I Made This), and Signapalooza for getting autographs on kids’ books. Argentine Ricardo Siri (nom de plume: Liniers), most recently at Center for Cartoon Studies in Vermont, gave very funny talks on Saturday and Sunday. He’s the creator of the comic strip Macanuda (“cool,” “great,” “fantastic”) which has been translated into English and is inhabited by cats, humans, elfs, penguins, monsters, a sensitive robot, and many other weird & wonderful creatures in this surrealistic gag-a-day strip. 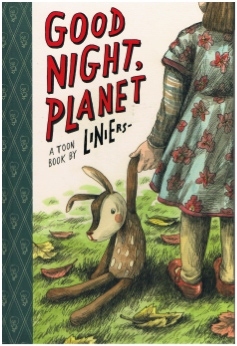 He’s also written several children’s picture books like The big wet ballon and Good Night, Planet which were inspired by his children. Brian Michael Bendis was interviewed by Tom Spurgeon Saturday night at Columbus College of Art & Design. On Sunday at The Columbus Museum of Art William Evans interviewed Richie Pope, winner of the 2018 Outstanding Artist Ignatz Award for The Box We Sit On and CCAD Artist in Residence. The Museum had an exhibition of Mr. Pope’s works. Finally, some words about cartoonists. Cartoonists very often are wonderful people. I’ve met many at various conventions, conferences, and other events. They enjoy talking about their work and are very generous with their time and skills. Often when they sign something they include a drawing of their characters or sometimes asking a fan what they would like to see. 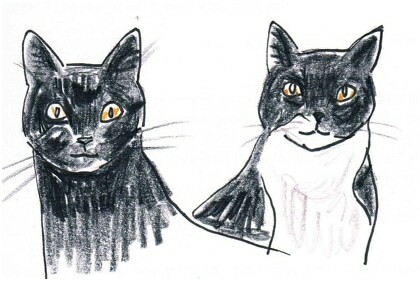 An example is shown here from Roberta Gregory (anthologies Wimmen’s Comix, Gay Comix; and her own works Winging It, Sheila and Me, and True Cat Toons).